It doesn’t matter what type of gym you own whether it be a CrossFit box, yoga studio, big box gym or cycling gym; creating an ideal buyer for your gym business will impact your revenue. By defining your ideal buyer, you’re going to sell gym memberships. Ideal buyers play a critical role in your digital strategy; they are who you create all your website content, videos, social media updates, photos, ads and so on for. It might be difficult to see the connection between developing an ideal buyer and selling more gym memberships, so we’re going to break it down. I’m going to explain briefly what an ideal buyer is, why you need an ideal buyer and how to define your gym’s ideal buyer. By the end of this post, you will have clear steps on how to sell gym memberships to your ideal buyer. What is an ideal buyer? There are a lot of terms for an ideal buyer you might have heard of before, ideal customer, buyer persona, client persona, or client profile. We use an ideal buyer as; the perfect representation of who you want to purchase your product or service or in this case gym memberships. You create ideal buyers through research. Diving into your current clients and of an industry segment you wish to have but haven’t reached yet. An ideal buyer or buyer persona is a complete breakdown of behaviors, pain points, goals, wishes, dreams, demographics and professional careers. It is a representation of who your customers are, as people. Why do you need an ideal buyer? You might be thinking ok so how does an ideal buyer answer my main concern: How to sell Gym Memberships! When you know who you’re talking to, it’s much easier to create content that will resonate with your ideal buyer. You want to attract website visitors that are going to want to hear from you and are a good fit for your gym. Which in turn will create more gym members. Creating content doesn’t just have to be for your website, but all your social media updates, your newsletters, and even your print marketing items if you still do them. Identifying your ideal buyer is identifying who you want to reach with your marketing and where you should be focusing your marketing. You don’t want to spend time and money on places where your ideal buyer doesn’t hang out. For example;, if you have yoga studios and your ideal buyer is a millennial mom that is a stay at home mom and needs some time to destress. 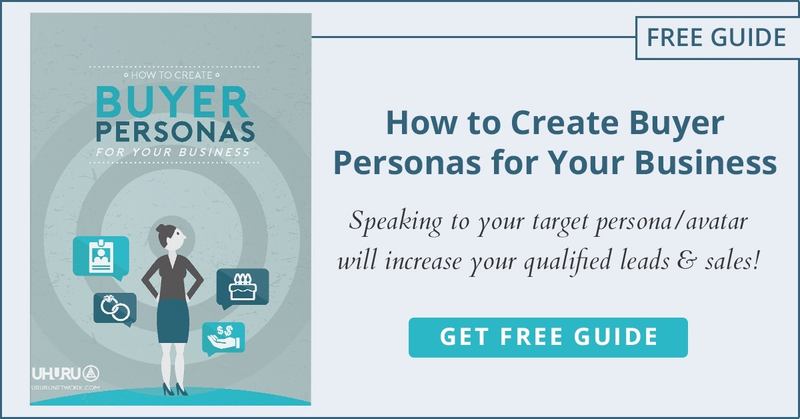 Based on these buyer persona variables you might want to target them on Pinterest. Or create useful blog posts where you discuss the benefits of yoga to moms and create a pretty graphic that website visitors will want to pin. You need to have an intimate picture of who your customer is so you know how to speak and reach them. Remember, when it comes to digital marketing, you really can get the most bang for your buck if you have a specific target audience. A lot of time and effort goes into developing your ideal buyer, don’t think it’s a five-minute planning party and then it’s over. Your ideal buyer needs to be constantly reviewed and updated as needed. It has to be a true representation of who you’re trying to reach in the entire life of the business. Here are the simplified steps you need to take in creating your ideal gym member. Do you read any fitness blogs or magazines? How important is health in your daily life? Is eating healthy important to your family? What time of the day do you workout? Why are you looking to get a gym membership? Get answers to the questions in step one.The best place is to survey your current customers. How well do you know them? Now is a good time to find out! Interview the most gym members you can so you can get a good picture of who’s working out at your gym. It will help to define your ideal buyer and know who you’re servicing. If you want to find out more information about your members, ask your staff and personal trainers. Personal trainers get to know intimately your gym members and they might know more about them than you, so ask around. Collect and combine all of your research. Once you have a good amount of information collected, you need to look for trends and commonalities in your research. Pay close attention to those common traits because they are the base of your ideal buyer. You might have more than one ideal buyer you could have three, four, five. It depends on your gym, the members you and the type of members you want. As you sift through the content, you’ll being to see your buyers fall into place. Using all of the data you’ve collected and a draft of ideal buyers from step three create a detailed buyer description. You want to build an ideal buyer story that perfectly describes your gym member. It will be used for reference by your entire staff, so it needs answer these five main topics. Common objections to products and services. Once you know who you’re talking to creating marketing content that resonates to the people you’re selling to becomes much easier. You know what to create, write and design and where it should be. Don’t waste time and money on marketing to a segment that doesn’t target your ideal gym member. Focus on a segment that aligns with your ideal buyers, so you know you have the best opportunity to get more gym members.